MP's growth initiative sparks Long Stratton broadband deal Future residents and businesses in Long Stratton will have ultrafast fibre broadband, thanks to collaboration between Openreach, the developers, the Parish Council and the local MP. Crown Post Office 'at the heart of Diss', says MP South Norfolk MP Richard Bacon has told MPs that proposals to close Diss' Post Office would damage the town's landmark Heritage Triangle Project. Norfolk Conference to Set Vision For a Digitally Transformed CountyA ground-breaking conference brought together Norfolk’s digital pioneers to map out a vision for the digital transformation of the county. 'Thorough' Chilcot Report says nothing newSouth Norfolk MP Richard Bacon says the Chilcot Report into the invasion of Iraq says nothing that wasn't already known in 2003. Bacon says Whitehall 'still not learning lessons on IT project failures'South Norfolk MP Richard Bacon has said that Whitehall is not learning from past failures in IT projects, and is still repeating the same mistakes. MP votes to extend airstrikes on Daesh into SyriaSouth Norfolk MP Richard Bacon supported the Government in the vote on extending British military action against Daesh into Syria. 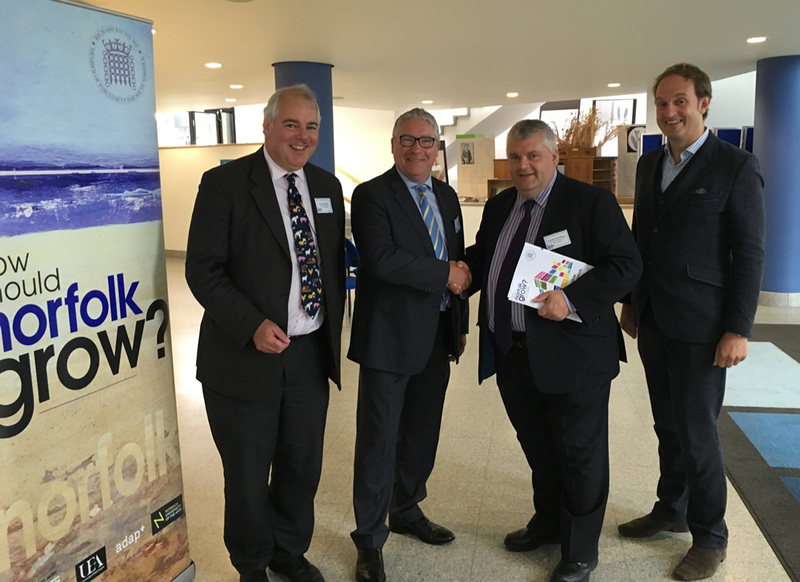 MP re-elected to Public Accounts CommitteeSouth Norfolk MP Richard Bacon has been re-elected to the influential Commons Public Accounts Committee by his fellow Members of Parliament. MP speaks out against zero-hours contractsSouth Norfolk MP Richard Bacon told MPs that although zero-hours contracts can provide a useful tool to some organisations, they can be misused by companies determined to exploit workers. Looking for my old Parliamentary website? I am currently updating my website and I have archived the old website whilst this work continues. To look back at the work I have been doing as MP for South Norfolk since 2001, click here.